Querido invitado, Gracias por publicar una revisión de cinco estrellas de su reciente estancia en el Killarney Park Hotel. Fue un placer darle la bienvenida a Killarney. Pasaré sus cálidos elogios a todo nuestro equipo del hotel. Esperamos poder darle la bienvenida en el futuro a Killarney. Saludos cordiales, Niamh O'Shea, General Manager. Dear Guest, Thank you for taking the time to review the hotel, we really appreciate all guest feedback that we receive. It gives me great pleasure to hear that you really enjoyed your stay here in the hotel. I am delighted to hear that you enjoyed all your dining experiences in the hotel also and we look forward to welcoming you back here at The Killarney Park Hotel again in the near future. Kind Regards, Niamh O'Shea General Manager. Un hotel en pleno centro y a la vez sumamente tranquilo, rodeado de un gran parque!! Es perfecta la ubicacion para hacer la excursion del anillo de Kerry que es hermosa !! Desayuno muy completo y la atencion excelente. Definitivamente volveria y lo recomiendo !!! habitacion comoda,desayuno clasico bueno y bastante surtido Cerca del hotel..haciendo un muy lindo paseo se llega a un lago que es precioso para fotografiar al atardecer. Dentro de las instalaciones del hotel hay un pub donde sirven muy buena comida. Dear Guest, Thank you for taking the time to review the hotel, we really appreciate all guest feedback that we receive. It gives me great pleasure to hear that you really enjoyed your stay here in the hotel. Glad that you experienced our "Warmth Beyond The Smile". 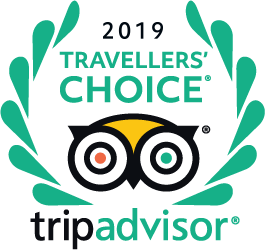 I will share your kind comments with our dedicated team here at the Hotel. We look forward to welcoming you back here at The Killarney Park Hotel again in the near future. Kind Regards, Niamh O'Shea General Manager. Dear eaglelight, Our Health & Fitness Club closes at 9 pm each evening. Does this hotel provide wash clothes? I’ve been reading some hotels do not provide them in Ireland. Yes, we can accommodate your request. Thank you. Thank you Angela. We are delighted. Looking forward to welcoming you hopefully in the future. Hi, we have Swimming Pool one site for the kids during specified times. Thank You for your enquiry. Are the rooms a good size.